Every month we receive emails and forms from members of the public from all around the UK reporting their sightings to us. Every single report that we get is logged in our database, and it’s these sightings, all your data, that contributes towards creating a bigger picture of the state of our oceans. It’s vital news like this that tells us which species of dolphin are being seen and where. If they are reproducing, where they travel to and even why in some circumstances. We cannot stress just how important all these sightings are for us, so please continue sending them in! 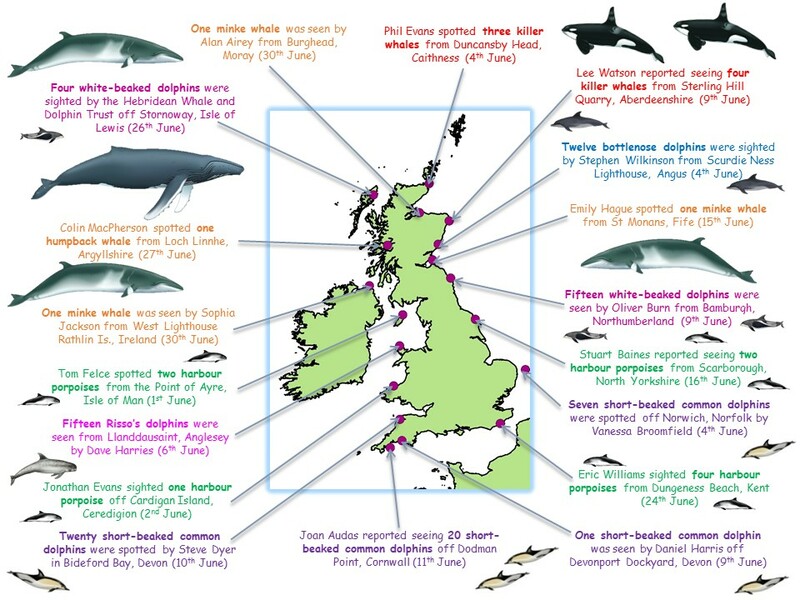 And if you’ve been lucky enough to see dolphins or whales in the UK, but haven’t sent your sighting information in yet, then it’s never too late! Here’s just a glimpse of what’s been seen around our fabulous island during June.